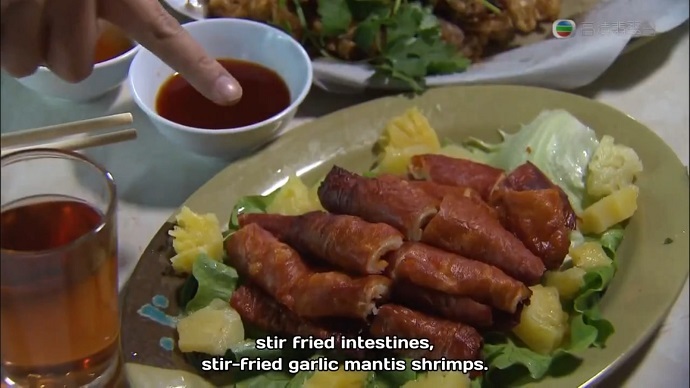 Side dish: There were so many dishes to choose from in this episode. 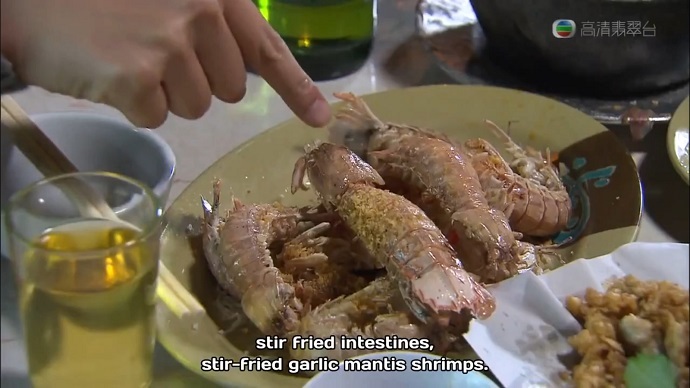 It is cheaper and easier to simply eat out than cook when you live in Hong Kong, but if you are not in Hong Kong, here is the recipe for Garlic Mantis Shrimp. Housewife, Dan Dan (Mandy Wong) is still in the dog house with her husband, Tong after he found out about her debt to a loan shark. They think they are keeping their young daughter, Ling Lei safely ignorant, but she perceives the rift between them. Ling Lei tearfully confides in neighbour, and undercover cop, Apple (Priscilla Wong) about her fear that her parents will divorce. That is when Apple learns that the compromising photo that she carelessly left out while rifling through Dan Dan’s bedroom was what caused the marital strife. Apple would like to help Dan Dan out, against the wishes of her police partner, Tai Shu (Edwin Siu). Apple shows the photo to Dan Dan’s two other friends, Fung Nei (Kaki Leung) and Lin Heung (Rachel Kan). They knew about Dan Dan’s loan shark debt, but not the blackmail, and they deny having any personal connection to the loan shark. Apple has a plan. Fung Nei and Lin Heung camp out overnight for a designer bag sale and take Dan Dan along. Meanwhile, Apple and Ling Lei try to create a void that only Dan Dan can fill, but Tong is surprisingly adept at finding supplies, sewing, and ironing. The truth comes out, and Tong asks Apple to allow them to resolve this family matter privately. Just as Apple is about to depart, Tong asks her to stay with Ling Lei after he finds out that his father has suffered a fall. He rushes to the nursing home only to find Dan Dan there taking care of his childlike father. Afterwards, Tong expresses frustration with Dan Dan always keeping him ignorant for his own good. In the midst of this tense atmosphere, Dan Dan and Tong run into some thugs who demand that she pay them what she owes her loan shark. Tong immediately stands up for his wife, offering to pay for her debt. Tai Shu rushes in, threatening to call the cops, while winking at the thugs. Tai Shu’s plan succeeds in returning the couple to their sickeningly sweet status quo of love and understanding. Apple and Tai Shu have a meeting with their boss. This time he is disguised as a homeless person, calling it practice for the future, since Apple lost his money in the stock market. It is at this time that Apple discovers Tai Shu’s intervention in Dan Dan’s marital crisis, though he claims he did it to prevent any hindrance to their investigation. Apple offers to treat Tai Shu to late night dinner as thanks, but is dismayed when Tai Shu chooses a cheap street restaurant. Tai Shu tries to sell her on all the high cholesterol delicacies at low prices. Apple starts out skeptical, and ends up appreciatively stuffing her face. When Tai Shu uses a napkin to wipe up her face, Apple freezes up before deflecting attention away from her embarrassment. The two cops agree that they make a good team, then have a beer. Of course, Apple ends up drunk, and Tai Shu is forced to carry her home (sadly, no piggybacking à la K-dramas). Free of inhibitions, Apple reveals how hurt she was when a teenaged Tai Shu called her ugly. Tai Shu has no memory of this incident since he does not recognize Apple, and reassures her that looks aren’t everything since he only started liking her after he got to know her. Apple suddenly brings her face right up to Tai Shu’s, but he decides to do the honourable thing, and offer her his cheek in place of lips for a kiss. This turns out to be the right choice when Apple vomits into his face, and not his mouth, before passing out. Tai Shu gets his revenge by drawing on her face then immediately cleaning up his handiwork with soap and water. The next morning, Apple is pleasantly surprised to find her face clean of makeup, and assumes she cleaned it herself. Tai Shu feeds into this idea; all the better so that he is not blamed for any breakouts resulting from his use of simple soap as opposed to Apple’s expensive facial cleanser. 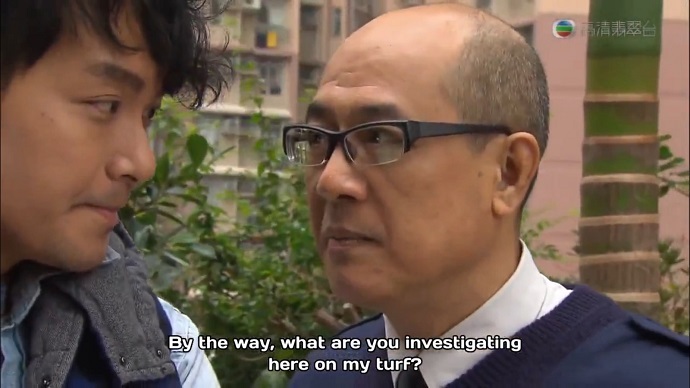 Meanwhile, Lin Heung has been instant messaging her son in the guise of a fellow teenager. Thus, she is able to sell her son on the idea of going to school in Australia. He even decides to start taking English language classes in preparation for the move. Lin Heung happily helps her son out the door. After being disappointed by news that her son will not be returning home for the weekend, Fung Nei’s mother-in-law encounters more distress when her only cassette tape from her Chinese opera days breaks. She rushes to a local store just in time to see Apple’s mother purchase a used copy of the album. After Fung Nei’s mother-in-law storms off, the storekeeper recognizes her as the voice behind the album. Apple’s mother is shocked to learn that the combative woman is the renowned Chinese opera singer that she has been looking for. Apple’s mother is no longer interested in doing a duet with her. Tai Shu’s father finally runs into his son while doing his security guard rounds at the estate apartment, and discovers that Tai Shu is in the midst of an undercover operation, and Apple is playing his wife. Dad asks hopefully if his son and Apple have developed a relationship while living together. It is while Dad is singing her praises that Tai Shu learns why Apple showed up late to pick up Maruko-chan, then refused to explain herself (see Episode 5). Tai Shu looks shamefaced as he realizes that Apple was simply respecting his father’s request, and received a tongue lashing from Tai Shu for it. The show is ramping up the romance between Tai Shu and Apple, and I love it. We are now at the point where the combative couple are slowly influencing change in each other. Tai Shu mocks Apple’s desire to intervene in personal affairs to her face, but executes his own plan on the sly. Apple is trying out street food, and admits to Tai Shu that he had hurt her feelings, though only with the help of liquid courage. Now that both of them have come to realize that the other is capable of more than they expected, it is only a matter of time until things get more awkward and entertaining. 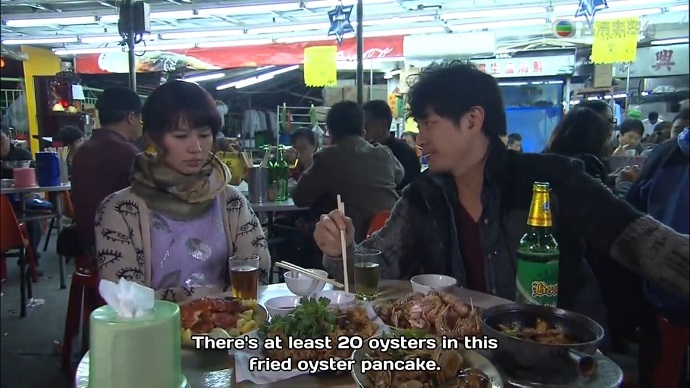 Romance aside, the best thing about this episode is that Tai Shu became a less refined version of Dae Young of “Let’s Eat”. Here he is giving Apple a lecture on Hong Kong street restaurant food.